At Deep Steam Clean Ltd, we understand that you need more than carpet cleaning. You also need to protect your investment by prolonging the life of your carpet and upholstery. Our long-term carpet protection strategy helps, including the following options designed to benefit your business. At Deep Steam Clean Ltd We understand the importance of carrying out a commercial carpet cleaning Process with minimal disruption to the daily running of your Business. We can offer our services at hours that suit your business needs. We use powerful water extraction equipment to make sure your carpet is dry with in 4-5 hours. However you can walk on your carpet straight after we finish our carpet cleaning process. 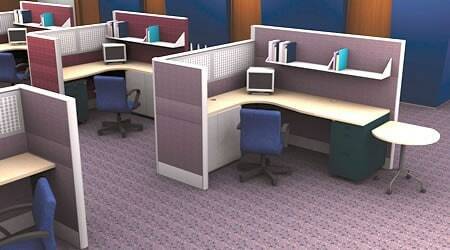 Every workplace has high-traffic areas that take on the brunt of the dirt. That’s why we offer an interim carpet cleaning service. By addressing these areas, we can provide better carpet protection, extend the life of your carpet and make regular cleaning faster and easier. Our interim carpet cleaning service is less hassle than a total cleaning, which is another great reason to give it a try. Our professional-strength carpet deodorizers neutralize odors by eliminating them at their source. Powerful encapsulating Organic agents work hard to provide instant relief from odor. You get a fresh, clean scent you can trust. After cleaning, we can apply a professional-strength carpet protector that helps your carpet, furniture and partitions resist dirt, spills, and daily wear and tear. Safe for people, pets and the environment, our carpet protection acts as a shield around the carpet fibers, making it difficult for dirt to infiltrate. The protector extends the life of your carpet; there is no unpleasant odor; and your carpet stays cleaner—longer. Best of all, the added carpet protection provides extra time to clean up any unexpected spills. And, it eliminates pesky static build-up. When unwanted spots appear, they demand a little extra attention. Our mild but effective spot cleaning works great on most carpet and upholstery—without breaking down the carpet protection. The solution uses no optical brighteners and is safe for pets, but effectively prevents any spots from turning into full-blown stains. Wall-to-wall carpeting or area rugs. Jobs that are big, and jobs that are small. We want to be your partner in clean, regardless of size or situation. Count on the undisputed leader in commercial carpet cleaning. Call Deep Steam Clean Ltd on 02071124941 today to find out more about our commercial carpet and upholstery cleaning services and our great prices.